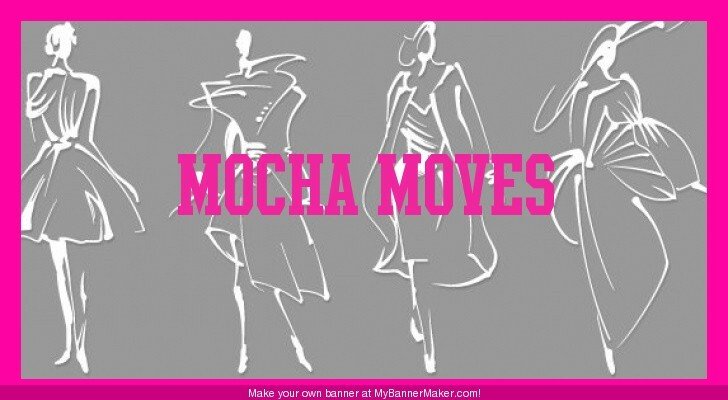 HOW DID YOU HEAR ABOUT MOCHAMOVES? Hey people how are you guys out there in Cyber world doing?..I hope all is well. So it has been a long time since I wrote an entry. When I started this blog I was the only person I knew with one, they said I was conceited and full of myself, now everywhere I turn I hear "check out my blog". It's kinda funny to me because I used to think of a blogger as a certain type of person, but those stereotypes have been shattered . Now the dude hustling on the corner takes a break to update his blog, Twitter, Facebook, Myspace ...you name it. Don't get me wrong I think it's cool that everyone is blogging , but I can't help but laugh at it sometimes. At the start of my blog in 07 , I went to a million events a week and I wanted everyone to keep up with me , especially my dad who lives in New Zealand. Now when he calls me he seems to have no clue as to what is going on with me. It's not that I don't want to blog anymore it's just that I don't even know where to start. I took an extended brake from my blog because I just got too busy and it seemed like the haters were having more fun with my blog than I was. To tell you the truth I am not sure what has brought me back to this blog that I have neglected for nearly a year, but I do have an idea. I think it's the loss of my love Michael Jackson who I just can't stop crying over. When I was a young girl I was a dancer. My mom and I were a team , my mom who was also a model when she was younger used to dress us up in leotards and do splits and all these dances, we would perform any chance we got and all I used to think about was coming to America to meet Michael Jackson and Mickey Mouse. When I came to America I was 7yrs old and I joined a dance group from my neighborhood called Ki'Yanu it was fun and it was going to be my stepping stone to meet Michael Jackson. I danced in that group until I was eleven and then the American culture and Tomboyness took over. Although I stopped dancing I never fell out of love with Michael Jackson. I remember when I was about 12yrs old I met Usher and I thought I was getting closer to the dream of meeting MJ. When it was all said and done , I never got to meet MJ. When he came to Times Square in NY I was so upset because I found out too late. I loved Michael Jackson he brought worlds together, he will forever live in my heart and I will make sure my kids know exactly who he is. Well that is it for now people , writing is something I do from my heart , it is therapy for me. I really hope I have the will to share another entry with you but if not thanks for reading and keep your own flame of happiness burning in your heart because when it goes out so do you. Hey guys welcome back , Hope all is well. Before I even get into this post I have to tell you to go and pick up a copy of the New York Beacon Newspaper, my article on Creole Restaurant is on page 19. Now lets get into this Roy Jones fight. There were some great fights before Roy Jones's main event. My boy and Brooklyn's own Zab Judah was the main under card fight. He did his thing and bought a win home for BK. I was really happy to see Zab on the road to getting back to the Champion fighter stature he once was. 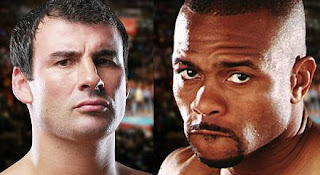 After Zab's win the crowed was energized and ready for the main event of Roy Jones Jr. Vs. Calzaghe. Calzaghe who is the Light Heavyweight Champion of the world is from Wales and his fans came out in full force. I mean there were so many Calzaghe fans in Madison Square Garden I thought I as in Wales. The Calzaghe fans were serious about their boy, they had Wales flags on and chanted Wales!Wales! all through out the fight. The craziest part for me was the Wales national anthem, I can't event describe it..lol. The first round my boy Roy came out swinging he even had a first round knock down that had the crowed going wild. I thought "yeah he got this", but I was wrong . The first round knock down was one of the only Roy Jones highlights in 12 rounds. He got gassed up with his first knock down and kept fishing for another one. He only threw power punches that were not connecting. It was a mess, in the 4th round Calzaghe threw a power punch that landed over Roy's right eye and it was down hill from there for the once Pound for Pound baddest fighter in the land. The cut kept on leaking and Calzaghe kept on working that eye, at one point I didn't want to look at it anymore. I mean I have been to more fights than I can remember and that was the worst one yet. Every thing that was white in the ring was red, even the referee was slipping on blood. I thought for sure they were going to stop the fight, but it just kept going. There was a full house in attendance to witness the blood bath. Celebrities such as fighters Hopkins and Winky Wright , rapper LL Cool J, actors Catherine Zeta Jones ( who is from Wales) and her husband Micheal Douglas were all there. Sitting close to me were Osi Uminyara of the Giants and his girlfriend Victoria Secret model Saleta E. Banks (once engaged to Nick Cannon)but they left before the fight started. Sitting ringside I had full view of all the excitement , so enjoy the pics. POSE FOR THE CAMERA NOW CLICK!! THERE I GO AGAIN AT THE AFTER PARTY..
WILE I WAS TAKING THIS PICS IN THE GARDEN LOBBY THIS GUY FROM WHALES TOOK A PIC WITH ME AND SAID HE IS TELLING EVERYONE BACK HOME HE MET A CELEBRITY..LOL..
Quick Note: Calzaghe had a victory over Bernard Hopkins earlier this year after a split decision made him victorious. Hopkins protested that win because he like Roy Jones knocked Calzaghe down in the first round. Hopkins was ringside at the Roy Jones fight looking like he was gearing up for a rematch. Hope you enjoyed the post and don't forget to post a comment and pick up The New York Beacon newspaper. It is located at newsstands near you. Hey guys welcome back. So I had fun in DC a few weeks ago. I went with my BFF Chedda to her Homecoming. Howard Homecoming is by far the Best college Homecoming ever. I had a ball partying all weekend and eating good. The clubs are always fun in DC because they are so big. I didn't go to Love the old Dream , because I heard its become a tourist attraction and you know I only want to be at the exclusive spots. I hit the yard during the day as well. So here are some pics enjoy. The marching band was fun to watch..Terrence Howard led the band...Hot! 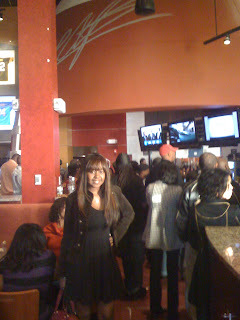 Before I left DC..I went to Sideline Sports Bar to watch the Redskins game. It's cool because it is across the street from the Redskins arena. I hope you enjoyed the pics. Post some comments, you know I luv them. Oh fun little thing that DC had was a party to go to after the party . It was packed outside and charging $40 to get in, but they did serve breakfast the only problem was they were not serving alcohol. Big Thank you to DJ P-Cutta our tour guide. You were the best. Go Pick up his new mixtape people. Also thanks to Jia for showing us so much love, she was the best host ever. Hey guys welcome back ..enjoy one of my articles. THERE GOES ANGIE MARTINEZ ON THE RED CARPET. Thanks for checking me out I hope you enjoyed th Post. I just finish watch an Obama speech.. Not sure if i said it before... But MochaMoves is all about voting for Change!!! !..I am an Barackian..lol ..Don't forget to post a comment. Hey guys welcome back.. I wanted to Spotlight the majorness that is going on at The Wagon Boutique. 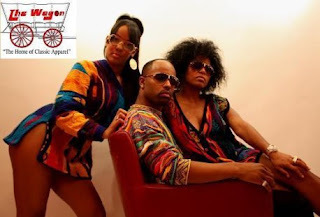 The Wagon Boutique is a place to find your style. The owners are well known trendsetters from BK, they use The Wagon as a tool to help America get fresh. This store is great because all of the pieces are supper exclusive. They understand the need for the trendsetter to be one of kind. They stock pieces that only real fly guys and girls will truly appreciate. And when I am talking about fly I mean Car Show on Easter Fly , Empire Skating ring fly, if you are fly you remember those days. It is becoming what S&D's once was. As the time changes so does fashion but style stays the same, and The Wagon understands that. That is why they are bringing Coogi's back. Coogi was the symbol for getting money in the 90's. I personally never thought I would be jumping on Coogi band wagon..but it's true I am sooo getting on. I can't wait to throw on the Coogi cardigan with my color full LV bag and my pencil jeans with thigh high red boots to kill it. That outfit might sound kind of out there when I describe it but I know you will luv it , wait until you see the pics..The wagon also carries hot bags and shades so I suggest you go there to either maintain your swagger or find it. There goes my boy JU on the right one of the owners of The Wagon and a founder of Cheese Wagon Clothing Line. I hope you guys enjoyed the pics. Stop by The Wagon Boutique and pic one up. Post a comment and let me know how you feel about Coogi coming back..
Hey guys check out a mini article of mine..post your comments . There is a place for fashion at every price point weather you shop at Saks 5th Ave or Target most of us are still trying to keep up with the latest trends. In a time where gas prices are high and credit card debt is taking over, we are striving to look good on a budget. The only problem is that some of us don't know how to, it's hard to go from shopping the racks of Bergdorf Goodman to looking for perfect cocktail dress at Conways. 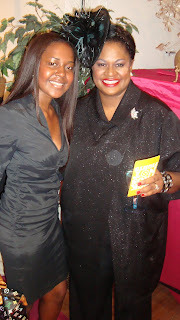 In times like these the person to turn to is Kathryn Finney author of How to Be A Budget Fashionista. Kathryn Finney is the creator of the website thebudgetfashionista.com which was spawned from her "love of fashion but lack of cash" in 2003. Kathryn's site is one of the most popular Blogs on the Internet and her book How to Be A Budget Fashionista , published in 2006 by Random House has been mention in over 300 publications and over 50 television segments, thus she has made appearances of NBC's Today Show, Good Morning America and CNN. 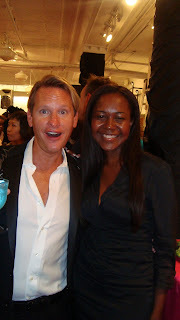 On September 9th I caught up with Kathryn at her Budget Fashionista 5 year anniversary party at the Housing Works Thrift shop on 17th street in Manhattan. 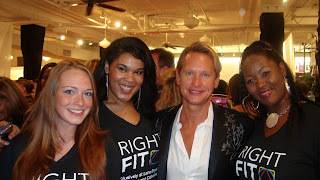 The party had a great mix of fashionistas , supermodel and TV Host Roshumba Williams and Carson Kressley of the TV show Queer Eye were just some of the familiar faces that were there to help her celebrate. THE ONE AND ONLY MODEL ROSHUMBA AND I..I WAS EXCITED TO MEET HER.. PLEASE POST COMMENTS..I HOPE YOU ENJOYED THE POST. I was born in Guyana to a Guyanese mother and an African father. I am what you call a true hustler I have worked in many different dimensions of style and fashion. After getting my camera I had so much fun footage that I just want to share. I am a natural TV host ..so you should enjoy this site. So have fun..and come back now ya hear!! I WEAR PUGILIST GEAR BECAUSE I AM A FIGHTER!! COOL PLACES TO VISIT ON THE WEB!! !